In this post we have a prayer that you can use when you want angelic assistance. Remember first that we pray to God and then God sends the angels. We don’t pray to the angels. Because we know in part and we prophesy in part (1 Corinthians 13:9-12) when we pray to God he will perfect or bring about the completion of what we ought to pray according to His will. This is Part 4 of our Angels Series. You can see the first part here. Part 2 was on Archangels and Part 3 was on Guardian angels. Here are some short prayers based on different situations. Let’s say that you have a job interview and you need favor. You have other people who are involved in the process of you getting that job. The HR person determines if you have the proper qualifications or skills for the job and also how much money you will be making. The interviewer/your potential boss will need to have chemistry (employer/employee work chemistry) with you and feel that you are the best person for the job. So here is how you would pray for that. Father God, if it is your will that I work at this company I ask that you grant me favor with this employer. Send your Angel to open the doors for me. Begin to prepare the heart of the interviewer to have favor towards me. Send ministering angels to me to give wisdom and knowledge needed for this interview so that I will be prepared to give the best answers for the questions that I will ask. Send the ministering angels to the HR manager to give me the best pay package possible. I commit to tithing on what you will give me to build you Kingdom, in Jesus Name, Amen. Using the same example above if you have to go into the hospital for an operation or you know someone having surgery when you pray you know that there are several people involved in this process. So here is how you would pray for angels for surgery. Father God, your name is Jehovah Rophe the God who heals and I pray that you will be the healer in the operating room. I pray you send your angels to remove any demonic presence that may be around the hospital, on my floor or near my room. I pray that you would bind up the spirit of fear and remove it from the room. I pray that you will guide the hands of the surgeon. That even now you will begin to minister wisdom, knowledge and understanding to the nurses that will be working with me and the doctors. I pray the angels will keep the enemy at bay and grant me safe passage in and out of the hospital. Send ministering angels to give wisdom to the doctors and nurses so no unnecessary medications will be given to me. I ask that the diagnosis will be complete and the surgery will be quick, my recovery time quick and my healing will come swiftly. Send ministering angels to speak peace to my family members and friends, in Jesus name, Amen. We know God is omnipresent and omnipotent but He does send his angels to do work on His behalf. 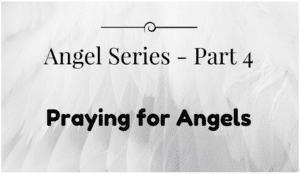 If you have a specific situation and you need to know how to pray for angels related to that, please write it in the comments below and we will write a pray for you. I need breakthrough in my life am praying to have a business of my own when ever am close to it something always comes up and all my labour will just be in vain . am in the mist of one now .which am about to accomplish but my boss don’t want me to stand on my own . The possession was mine at the first place but somehow he took it away from me right now am confuse I don’t know wat to do I need pray for breakthrough . 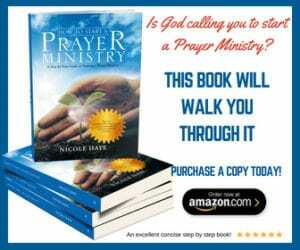 Have went through a lot of your spiritual prayer and is very helpfull . May GOD continue to fill u with wisdom ,knowledge , and understanding in JESUS name (amen). Please I am under spiritual attack and under satanic oppression everything I lay my hands doesn’t work to the extent that it is affecting my marriage and my wife kindly send a prayer line against this attack.